Bought on eBay for the Museum, after a very tense final few moments, a WWII Defence Medal, awarded to Mrs Philadelphia Snell of Trenethick Cottage, Mount Hawke. It is especially good to have a medal awarded to a woman and also one from Mount Hawke. The Museum already has a lovely collection of paraphernalia of Gordon Snell, Philadelphia’s husband, which was given to the Museum in 1994. There is a letter between Gordon and Philadelphia before their marriage, several driver passes from Carlyon Haulage of Mount Hawke, issued during WWII, other papers, and a photo of Gordon and Philadelphia in their later years. The medal comes with its box sent OHMS. 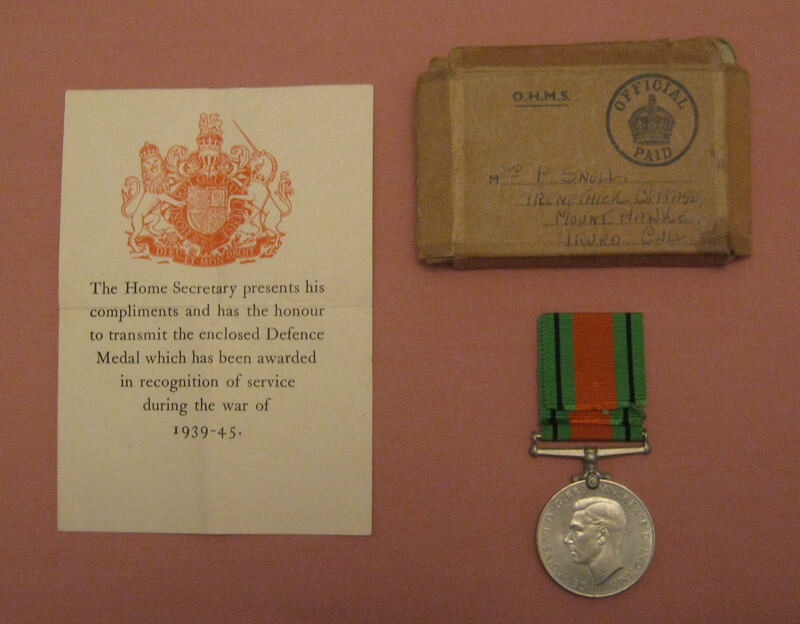 We hope to learn what Philadelphia did during WWII to be awarded her Defence Medal. 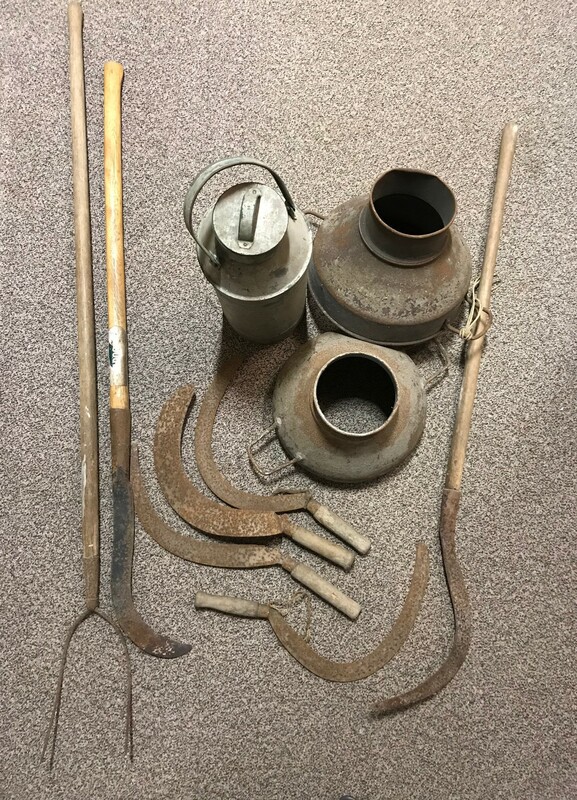 The Museum is very pleased to have been given a collection of farm implements and three farm Cost Books, especially as it did not have a large farming collection. With this gift also came underground mine plans for Polbreen, West Kitty and Wheal Kitty mines. The Museum is very grateful for this fascinating donation. 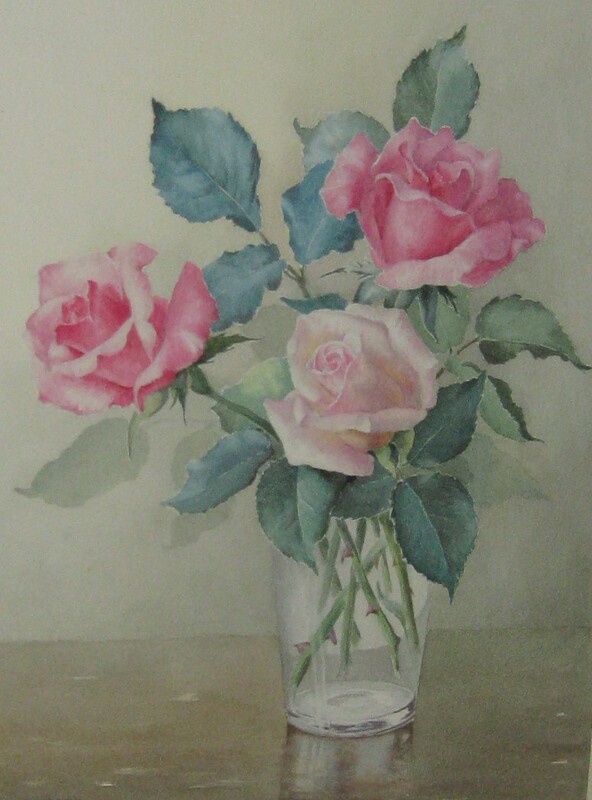 The Museum is delighted to have been given this watercolour of roses by fine watercolourist “Madge” Scattergood (Edith Marjorie 1907-1981) who lived at The Beehive on Beacon Road, St Agnes. She studied at the Slade School of Fine Art and exhibited her delicate flower paintings with the St Agnes Art Group in the 1960s and 70s. The Museum knows little about her and would be pleased to hear from anyone who can add to our knowledge. St Agnes Museum’s major new exhibition for 2019 will feature the St Agnes life of renowned artist, Tony Giles, whom many will remember living at Polbreen with his wife Hilary, or will have met at the Railway Inn or St Agnes Hotel. There is a selection of light, joyful paintings of St Agnes, several owned by the Museum, others kindly loaned by private individuals and never before seen in public. One, full of movement, depicts St Agnes Victorian Fayre in 1984. 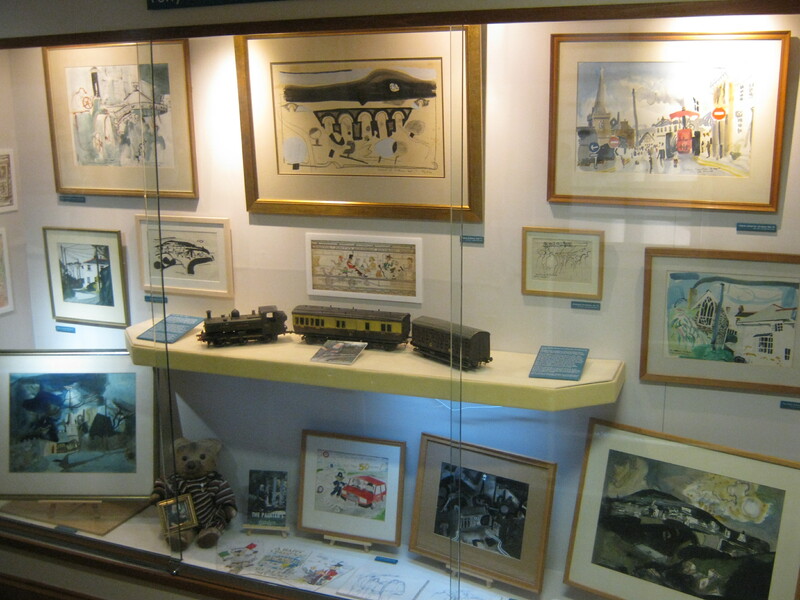 There are many playful cartoon-like Christmas and Birthday cards painted for his wife Hilary and recently donated to the Museum, and a loaned sketchbook. Centre stage are the railway engine and two carriages from the railway track that Tony laid around his garden. His well worn and much loved teddy bear is there in his original jumper. A pastel portrait of Tony by Ken Symonds, drawn in 1986, completes the exhibition. 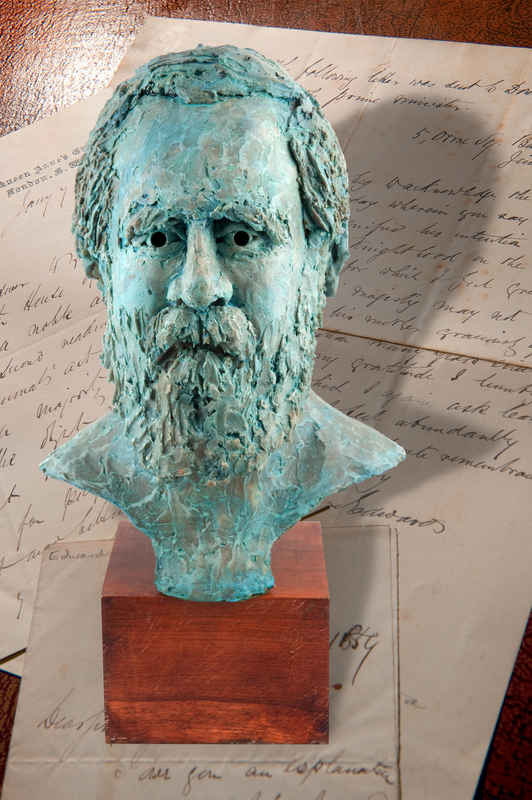 John Branfield’s biography of Tony Giles is on sale at the Museum, and the Museum is very grateful for John’s help in curating the exhibition. After a brief introduction by Chairman, Roger Radcliffe, when he welcomed 45 Members of St Agnes Museum Trust to its 35th AGM at the Methodist Church Hall on Wednesday 20 February 2019, Treasurer, David Teagle, got the evening’s business underway with his Treasurer’s Report. He reported a surplus of £3194 and thanked Shop Managers, Mike & Lynn Furness, for the contribution the shop had made to Museum funds, with a profit of £3142. There had been an increase in donations and visitor numbers. He warned of the possibility of repairs to the roof which would deplete the surplus. Honorary Curator, Clare Murton, said the collection now contained 10,008 items, with 13,000 photos taken of those items. There had been many requests for help, including from those born at Rosemundy Home, and from evacuees. She reported that the Museum had again been awarded Accreditation by the Arts Council, showing that the collection was cared for to the highest standard. 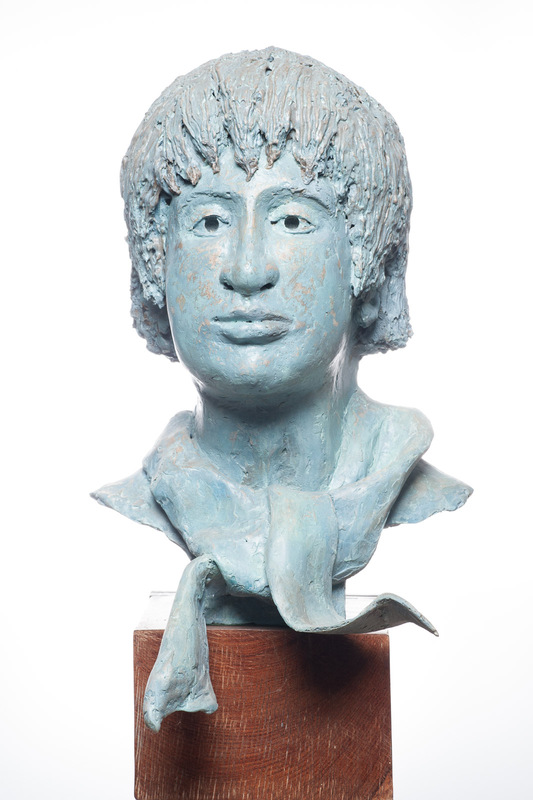 The Museum’s two sculptures, busts of Passmore Edwards and John Opie, would now appear on the Art UK website. She listed some of the 64 items to have been accessioned this year, including an American gold watch, lantern slides of Goonbell Meeting House, 2 Erica Suttill paintings and a bottle of red wine from Bondai Beach Surf Life Saving Club. There would be a new display of Tony Giles paintings in 2019. Membership Secretary, Mary Wilson, reported 192 Members, – 54 Single, 72 Family and 66 Life, – and thanked all the volunteers responsible for delivering the Newsletters and Journals. The Chairman thanked all volunteers for their hard work, together with the Local Improvements Committee and the Parish Council. The Officers, Chairman, Roger Radcliffe, Vice-Chairman, Clive Benney, Treasurer, David Teagle, and Secretary, Laura Coggins, were all re-elected. Committee Members, Isobel Burrows, Mike Furness, Colin Harris, Philip Mitchell, Clare Murton, Steve Roberts, Peter Thomas and Liz Thompson were unanimously re-elected en bloc. Claire Morgan was reappointed as Auditor. An amendment to the Constitution offered free non-voting Membership to the Under-18s. After a tea interval, Members enjoyed the film “Cornish Tommies” about St Agnes Veteran, Henry Jennings. In the absence through illness of the producer, Tim Smithies, Clare Murton introduced the film which featured Museum volunteers, Philip Mitchell and Joan Bunt.